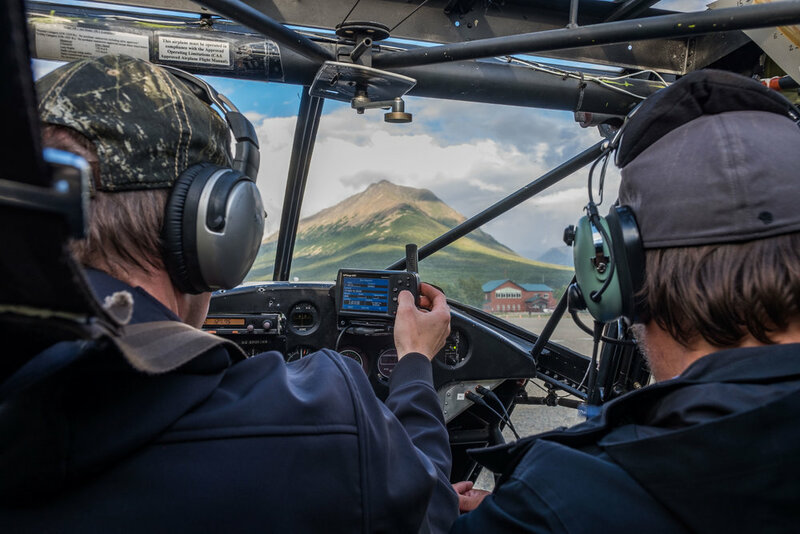 Alaskan bush pilots are the wise owls of the 49th state—they are the first to see it all. They know when rivers are flooding, when glaciers are retreating, when wildlife migrations are occurring; rockslides, mudslides, erosion, first freezes—they see it all first from their homes in the skies over the roadless geography of Alaska. They are uniquely equipped to provide essential search and rescue operations in remote areas and do so willingly even though it is outside of their mandate; and for explorers, they are our passport into the Alaskan wilderness. We took 24 flights (and one helicopter) to get into the belly of eight Alaskan national parks this year and wanted to pay homage to the bush pilots who make exploration of Alaska accessible to all of us who wish to see it, while offering our warmest thanks to all of them for keeping us safe while hugging steaming volcanoes, ducking cloud streams, dipping sideways for unexpected wildlife sightings, and altering their flight-plan manifests to show more of it to us than was required. 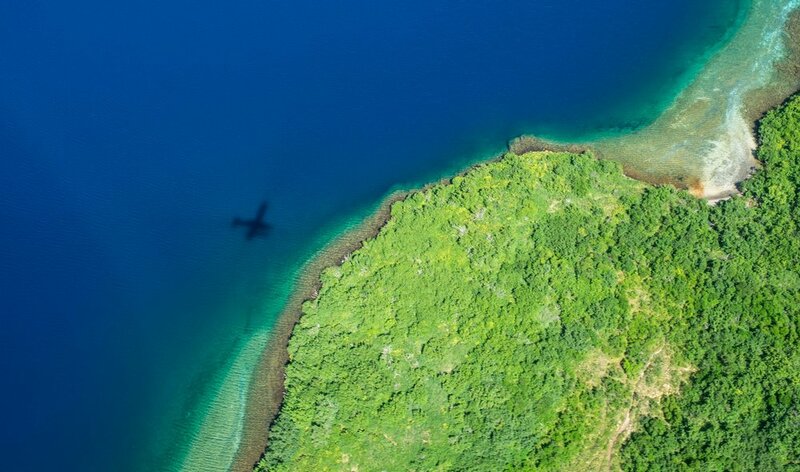 An overview—Bush planes are used mostly in areas that don't have the infrastructure for cars, including the African bush, the Canadian North, the Australian Outback, and on the Alaskan tundra... where roads end, bush flights begin. Typical fleets are comprised of classic mid-century and modern machines alike, including Beavers, Havillands, Cessnas, Gophers, Piper Super Cubs, Otters—and are outfitted either with "tundra tires" (large all-terrain tires equipped for landing on rugged landscapes,) or skis which are used to land on water or ice or snowpack. The ride—Because cabins are not pressurized in small planes they must fly low to the ground. Expect near-mountain fly-byes, sharp turns, and bumpy landings. It’s all part of the adventure! You'll wear a headset that enables you to converse with the pilot and other passengers. Some planes seat just two and some gear; some seat up to 16. Cost varies greatly depending on distance of travel and the amount of gear you carry. Weather—While weather reports are useful planning tools, most bush pilots can attest that the most useful report is a look into the sky for real-time weather information and to ask around. They make a lot of their decisions based on experience, knowledge of the climate, reports from other pilots, and what is appearing right there and then. Security—There is no standard "TSA" operation aboard Alaskan bush flights. It typically goes something like this: put all of your pointy stuff in a pile, including bear spray which the pilot will strap to the external wing... if the bear spray were to discharge inside a plane while in flight, it would essentially blind the pilot subjecting all onboard to emergency landing/crash. Hop on the plane, fly. Are these small planes safe? The risk of flying in small planes in Alaska is inherently greater than it is in the lower-48 due to fickle weather, unreliable weather reports, and rugged terrain and landing locations. The good news is that according to reports from the National Institute for Occupational Safety and Health, accidents in the last ten years are on the steady decrease as emergency preparedness measures continue to improve flight safety operations statewide. Truthfully, we didn't research this criteria too heavily prior to traveling through Alaska because we knew we would spend a great deal of time in small aircraft, and lets get real—in some cases, ignorance really is bliss... food for thought if you are planning travel through remote Alaska. Wrangell Mountain Air. Based in McCarthy, your jumping off point in Wrangell St. Elias National Park. Wright Air. Based in Bettles, this is the outfit to bring you to Kobuk Valley and Gates of the Arctic National Parks, both located in the Central Brooks Range north of the Arctic Circle. Lake Clark Air. Based in Port Alsworth, your gateway to Lake Clark National Park and Preserve. Wings of Alaska, the top company flying from Skagway to Glacier Bay National Park. PenAir, service to Brooks Falls in Katmai. Andrew Airways, based in King Salmon, your jumping off point to the Katmai National Park and Preserve. Our bush pilot Willy Fulton from Andrew Airways—one of the most experienced pilots in the business. You might recognize him from the Werner Herzog documentary film "Grizzly Man" which documents the life of Timothy Treadwell's experiences in Katmai National Park & Preserve. Willy was one of the regular resuppliers to the area where Timothy Treadwell, AKA "Grizzly Man," lived and filmed. Sadly, he was also the one to find the remains of his friend in 2003.